PCUSA; PCI and the C of S; the ABC and the EU; Academics and Paedophilia; the Supreme Court and the Bakers. Yesterdays post was an eye-opener to several people – thanks for your feedback. But the half was not told. Here are a few other snippets of news that show where we are going. Mainstream churches who compromise with the culture have lost the plot and are paying the price. The PCUSA lost 5% of its membership last year and closed over 150 churches. They have lost 1 million members in the past eight years and yet they will continue on their suicidal move away from the bible. They believe or are deluding themselves that they are just poor at evangelism and that in fact the PCUSA is not dying but reforming. This is the very definition of clutching at straws. The most interesting statistic is that as this oh so politically correct up to the date modern denomination declines, it is becoming increasing white. Diverse in theology – not so diverse in practice. “None of us can claim the moral high ground, because none of us is perfect. This shows that the C of S is just as out of touch with reality as the PCUSA. I doubt there is one person who will stay away from church because the PCI and C of S no longer have formal links. 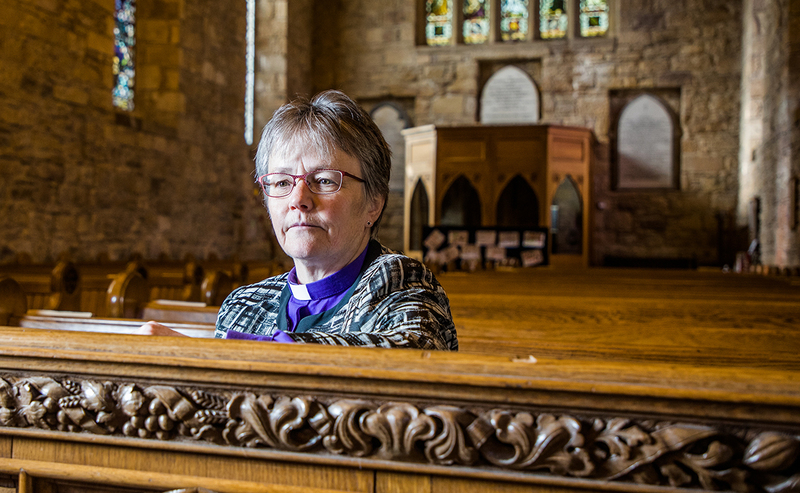 Furthermore it is not the PCI who have driven a wedge – it is the Church of Scotland, with its open contempt for the word of God and teaching of Christ which has driven the wedge. As for not claiming the moral high ground – that is precisely what the Moderator is doing – in effect saying ‘look at how nice, welcoming and tolerant we are – compared with these fundamentalist Irish!”. Fresh from hailing the ‘great’ sermon of Bishop Curry the Archbishop of Canterbury has found something else to praise – the EU is “the greatest dream realised for human beings since the fall of the Western Roman Empire” in an address to European churches in Serbia. Yes he really did say that. Forget penicillin, the discovery of electricity, the internet, the printing press, the renaissance, the Reformation, the Enlightenment….no – everything fades compares with the EU. Meanwhile he appears to have had nothing to say about the Irish abortion referendum. As we warned the gradual acceptance of paedophilia continues. This report from The Telegraph is the strongest indication yet. “Paedophilia is natural and normal for males” is the statement coming from an academic conference at the University of Cambridge. 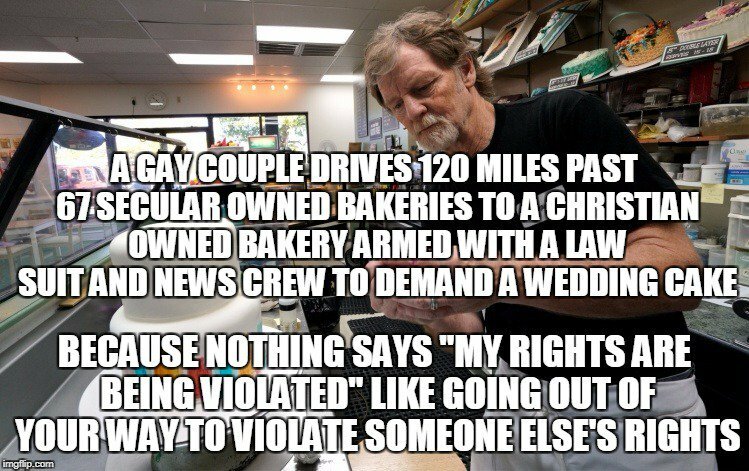 The US Supreme Court ruled in favour of the baker who refused to bake a special cake for a gay wedding….disappointing to read of the death threats and others that he received. This meme kind of sums it up. And just in case you thought that yesterdays post was exaggerated let me share with you one reaction – I was sent a series of tweets attacking me from one of our elected politicians – the education convenor of Dundee city council. He called me closed minded bigot, hypocrite, a bully, un- Christlike and more chillingly suggested that I should be sent for training (re-education?). He also said that he agrees with all the things I was critiquing in the blog….Remember this is the man who is in charge of our children’s education. You probably missed this one while you are away. On Radio4 “Any Questions” a few weeks ago, there was a question on whether men who declared themselves to be women should be allowed access to women’s “safe places”. All the panelists avoided answering specifically (than’s politicians for you), but the wonderful Diane Abbott stated firmly that a man who declares himself (note the pronoun) to be a woman IS a woman. This utterly irrational nonsense is the official policy of the party which aspires to be the next government. It is a good thing they don’t have someone like me on those R4 programmes, I am afraid that in reply to her I’d splutter and expostulate “What a load of &^^£)*&*%%”. Or maybe they need someone like me who isn’t afraid to show anger and opposition in the face of arrant nonsense. The very last line is the one which tells us where society has ended up. Atheists teaching RE, elected servants of the people telling us what we must think, mothers voting for the killing of unborn children… where will it end? I do think that the lampstand is getting further and further away from this nation. You are so right! 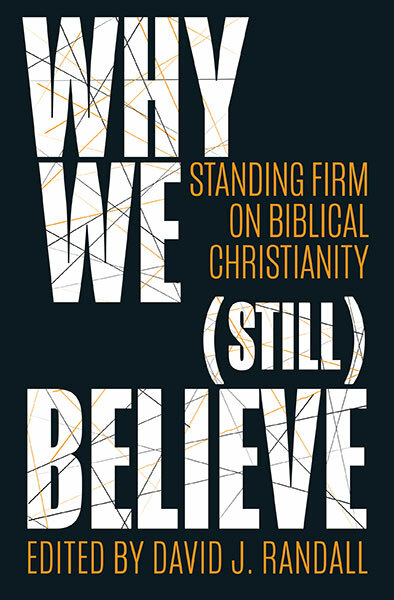 The Church is failing its people by failing to stand for Biblical truth. Thank you for your faithfulness to speak Gods truth. I’m actually wondering how much longer blogs like TheWeaFlea (and quite a few others) will be allowed to continue. There seems now to be a headlong rush into the abyss. And it’s as much simple rationality as specifically Christian teaching which is becoming unacceptable. The very fabric of society cannot long survive in such circumstances. But God may yet confound what to us seems unstoppable; and he may work in ways that will catch us all by surprise. His word to Elijah (1 Kings 19:18) reminds us that he sees what we cannot. The PC(USA) just put out a new edition of its “Book of Common Worship” (akin to the CofS “Church of Common Order”). The new wedding service it removes all references to man, woman, husband, wife, bride, or groom. The birth and nurture of children nowhere appears in the service prayers. While this book of not obligatory for ministers in the PC(USA), it is a significant sign of where things are. By the way, this year’s membership losses in PC(USA) represent a lower percentage of loss than the previous several years. Many congregations (like the one I serve as Pastor) have taken steps to get out for more Reformed, biblical denominations. David, I shared the baker meme and was asked if the information it contained was bona fide; do you know where the facts it contained could be corroborated? Next Next post: Does Scotland Need Another Billy Graham?